Flakies? Yes please! 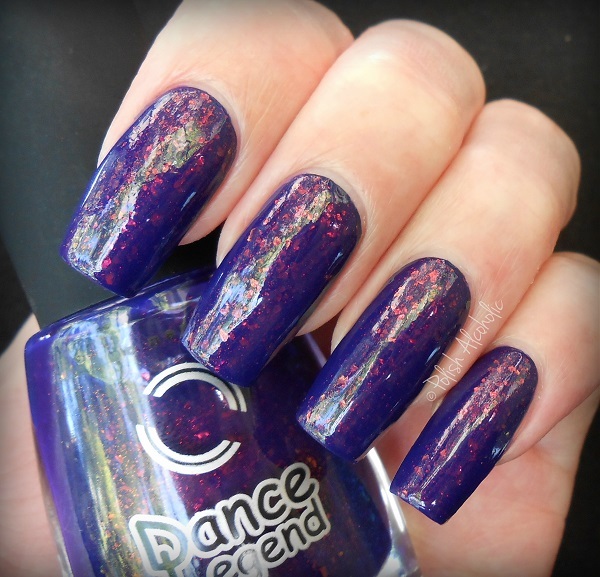 Dance Legend created a gorgeous polish exclusively for Llarowe called Deco Dance. It’s a gorgeous blue jelly packed with flakies. Yay! Personally I think dark blue jellies can make your nails look ‘dirty’ I chose to layer this over a dark blue base (Denim On The Rocks by ANNY). Instant love: The flakies have a green-isch color shift which my camera refused to capture. What do you think of flakie polishes? 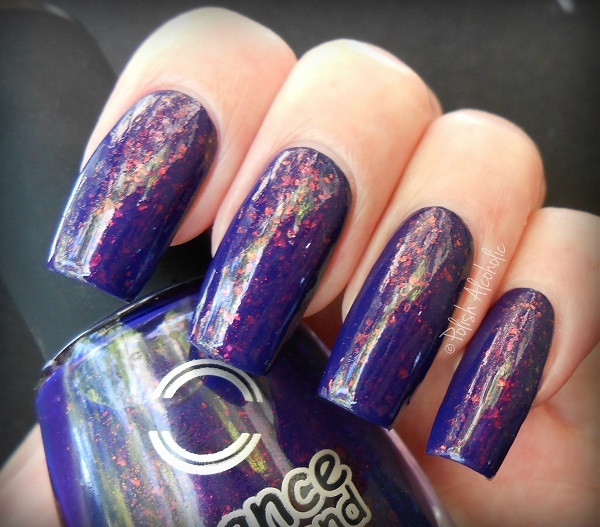 This entry was posted in Dance Legend and tagged colors by, dance legend, deco dance, flakies, jelly, llarowe, nail polish, nails, polish, review, swatches by Polish Alcoholic. Bookmark the permalink. I have the blue version of this polish, Sun Still Sleeps from the Candy Flakes collection (at the very least, it’s amazingly close) and it’s so beautiful. And oh crap, now I need the purple one!